Bifocals And Trifocals: Solutions For "Short Arms"
Do you need bifocals ? Some time after age 40, you will begin to notice the symptoms of presbyopia, including that feeling that your arms "aren't long enough" to hold a newspaper or magazine at a position where you can read it clearly. If you already wear prescription eyeglasses, this generally means you will need to begin wearing multifocal lenses to continue to see clearly at all distances. While most presbyopes these days choose line-free progressive lenses, conventional bifocals and trifocals have some advantages over progressives. In particular, bifocal and trifocal lenses usually provide wider lens areas for reading and computer work than progressive lenses. Also, there are many special-purpose bifocal and trifocal lens designs available, including special glasses for computers and for other tasks that require excellent intermediate and near vision. Multifocal eyeglass lenses contain two or more lens powers to help you see objects at all distances after you lose the ability to naturally change the focus of your eyes due to age (presbyopia). Bifocals contain two lens powers; trifocals have three. Progressive multifocal lenses gradually change in power from the top half of the lens to the bottom, and thus contain many lens powers. 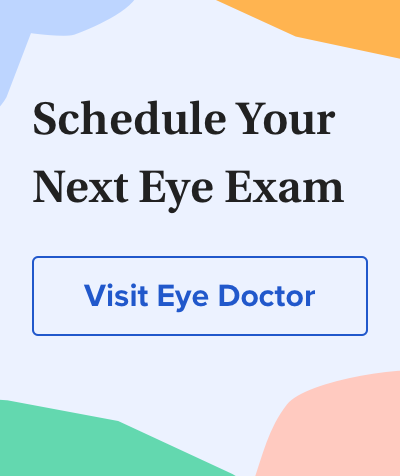 Though multifocal lenses usually are prescribed for adults over age 40 to compensate for presbyopia, in some cases bifocals are prescribed for children and young adults who have eye teaming or focusing problems that cause eye strain when reading. Also, some research suggests wearing bifocals or other multifocal lenses may help control myopia in some children by reducing the focusing demands of reading and near work. Regardless of the reason you need a prescription for near-vision correction, bifocals all work in the same way. A small portion in the lower part of the lens contains the power required to correct your near vision. The rest of the lens usually is for your distance vision. Generally, you look up and through the distance portion of the lens when focusing on points farther away, and you look down and through the bifocal segment of the lens when focusing on reading material or objects within 18 inches of your eyes. Trifocals have three points of focus — usually for distance, intermediate and near vision. The intermediate segment in trifocal lenses is directly above the near seg and is used to view objects at arm's length. Computers are an excellent example of something that is in a person's intermediate zone. Motorists who need to see in the distance to drive, to see the gauges on the dashboard, and to read a map also would benefit from a trifocal. The most popular trifocal styles are the flat-top and the Executive. Bifocals typically are placed so the line rests at the same height as the wearer's lower eyelid. As a bifocal wearer drops his eyes downward to read, the eyes naturally seek out the near-vision portion of the lens. Trifocals are fitted a bit higher, with the top line of the intermediate seg placed even with the lower margin of the pupil. A trifocal wearer looks through the intermediate zone when viewing something between 18 and 24 inches away. The eyes gravitate straight ahead, or up and over the multifocal segments, when gazing at something in the distance. Bifocals and trifocals have visible lines, but the line in a round-seg bifocal tends to be less noticeable than the lines in flat-top and Executive styles. There is something called an "invisible bifocal," which essentially is a round-seg bifocal with the visible line buffed out. This blending process, however, causes some optical distortions. If you want to wear a multifocal lens without visible lines, progressive lenses usually are your best choice. "Occupational" multifocal lenses are designed for performing a particular job or hobby and are not meant for general-purpose wear. Golf bifocal lens. Specialty multifocal lenses are designed to solve particular vision problems. If you have a special need because of your work, hobby or favorite pastime, tell your eye care practitioner. One popular occupational multifocal lens is the "Double-D." This lens has an upside-down flat-top segment for near or intermediate vision in the top third of the lens and a second flat-top segment for near vision in the bottom third. The center of the Double-D multifocal lens is for distance vision. Depending on the lens power in the top segment, the Double-D can be considered a trifocal or a bifocal lens. The Double-D multifocal lens is great for car mechanics, who need to see their tools and other near objects, but also need to work on vehicles on a lift above them. The upper segment of the Double-D helps them see the undercarriage of the vehicle without having to tilt their head far backward, or wear their glasses upside-down, as they would need to do if they wore a conventional bifocal. Another popular occupational multifocal lens is the E-D trifocal. This special-purpose trifocal lens has an Executive-style intermediate segment in the bottom half of the lens, and a smaller flat-top seg for near vision embedded within the intermediate seg. The E-D trifocal is an excellent choice for someone who needs a very wide field of view for objects at arm's length and also must see clearly both close-up and in the distance. A television production person, for example, who must keep an eye on several TV monitors spread out in front and to the sides while being able to read notes from a clipboard and recognize someone across the room, is a good candidate for this lens. Sometimes a common multifocal lens can become an occupational lens by changing the way it is placed in the eyeglass frame. For example, golfers over age 45 frequently complain that the near portion of their multifocal lenses (including progressive lenses) gets in the way when they address their golf ball or try to line up a putt. The solution? An occupational multifocal lens commonly called a "golfer's bifocal." In this lens, a small (usually round) near segment is placed in the lower outside corner of just one lens. If you are right-handed, it's placed only in the right lens; if you are left-handed, it's placed in the left lens. In this position, the near seg is completely out of your way when you're on the course, but it still gives you enough near vision to read your scorecard or a menu for lunch in the clubhouse. For more examples of occupational multifocal lenses for your specific needs, consult with your eye care practitioner. For the best vision, comfort and appearance when wearing bifocals and trifocals, ask your optician about anti-reflective (AR) coating. In addition to eliminating distracting reflections, AR coating allows more visible light to enter the eye for night driving, and it makes the bifocal and trifocal lines in segmented multifocal lenses less visible because it reduces the amount of light reflecting off these junction lines. Also, if you are sensitive to sunlight outdoors or spend a good deal of your day going in and out of the sun, ask your eye care professional about photochromic lenses. These light-sensitive lenses are clear indoors and quickly darken in response to sunlight to reduce glare. Photochromic lens technology is available in all multifocal lens designs, including lined bifocals and trifocals.